Willow Cottage is a delightful self catering detached cottage in Whitefarland (one mile south of Pirnmill), on the west coast of the Isle of Arran, Scotland. 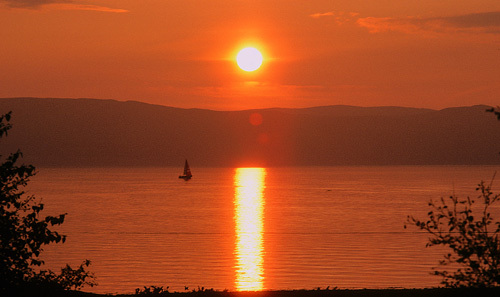 A peaceful area with beautiful sunsets and an uninterrupted view over the Kilbrannan Sound towards the Kintyre peninsula beyond. Willow Cottage has a large private garden and is one of the few houses on the seaward side of the quiet coastal road in this undeveloped part of the island. Low cliffs are about 50 yards from the house, through the garden gate and across a grassy field, with easy access to the beach. Super coastal and hill walking, abundant wildlife, several golf courses within easy reach; boat trips, pretty towns and villages dotted about the Island. Perfect for a quiet, scenic holiday. A wonderful base from which to explore the Island. 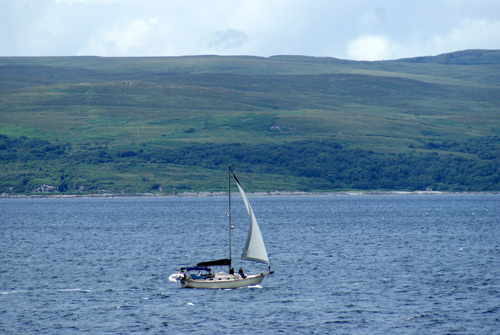 Kilbrannan Sound & Kintyre - the view from Willow Cottage.